This portfolio page shows a series of Isuzu illustrations and artwork for the Isuzu Trooper, Isuzu 4x4 pickup trucks. 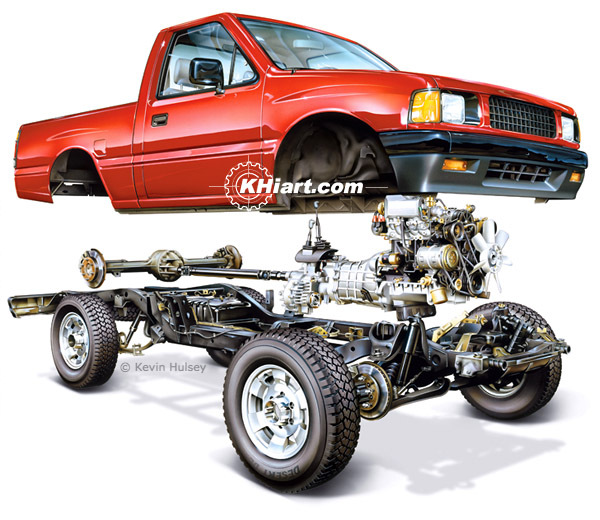 The artwork above shows an exploded view of Isuzu's 4WD truck. 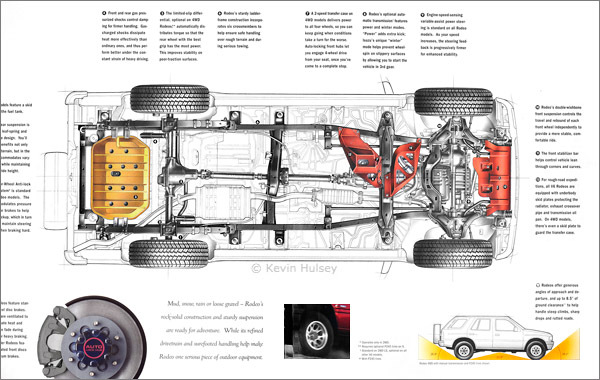 Isuzu Trooper undercarriage drawing showing the ladder frame, suspension, skid plates, rock guards and ground clearance. 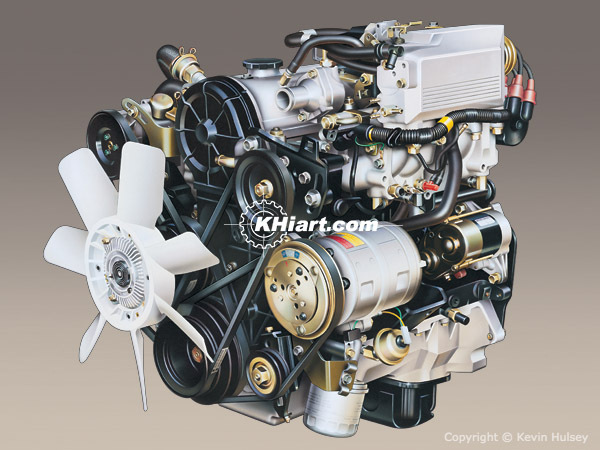 This image of a Isuzu Trooper engine was used in national ads placed in automotive magazines. 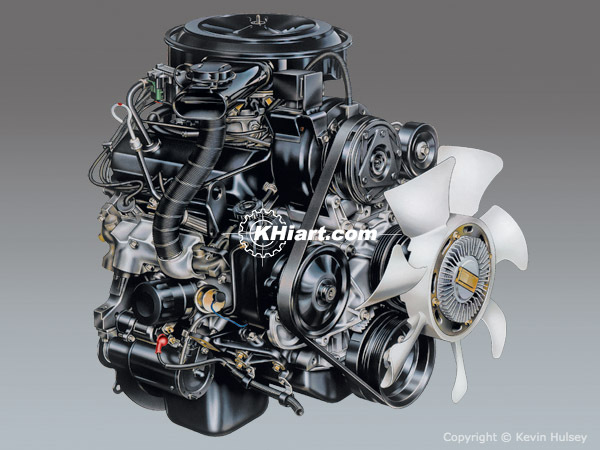 This image of a Isuzu 4x4 truck engine was used in national ads placed in automotive magazines.